Registration will open in May! Overview | 2018 Highlights | Thank You to Our Sponsors & Exhibitors! We would like to thank you for attending CVMA Convention 2018 and helping make our annual conference a huge success! We are greatly honored to serve our members and the veterinary community in Colorado, and convention is a huge part of that. We couldn’t do it without your support, and we are grateful for your attendance. Congratulations to our 2018 Convention Award Recipients! In an effort to “go green” this year, CE session speaker evaluations will be available online through the convention app. If you’d like to fill out any additional speaker evaluations, please click the button below. We are moving back to Keystone!  CVMA is busy planning the details, sessions, and speakers for Convention 2019. CVMA Convention 2019 Call for Presentations are now CLOSED. will provide proposal feedback to speakers in early 2019.
the LARGEST gathering of the veterinary community in Colorado! 1 | Create your own learning experience: Choose from over 120 hours of world-class education and earn up to 27 hours of CE credit over four days. 2 | Convenient schedule: Come for a day or attend all four days with CVMA’s flexible schedule options, allowing you to customize your schedule and maximize your time. 3 | Relevant information: Inspire yourself and your team with new and relevant information that you can immediately use in your practice. 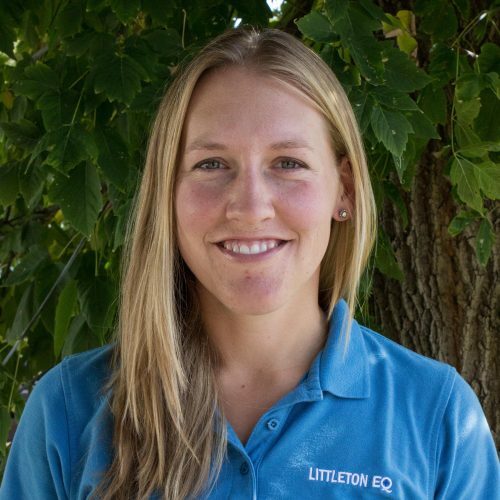 4 | Stay connected: Keep the conversation going with over 700 veterinary and industry professionals as you continue to expand your networking circle. 5 | Opening General Session with Paul Osincup: CVMA is excited to welcome TEDx Speaker and Positive Workplace Strategist, Paul Osincup who’s rare blend of inspiring content and side-splitting humor will keep you engaged and entertained! 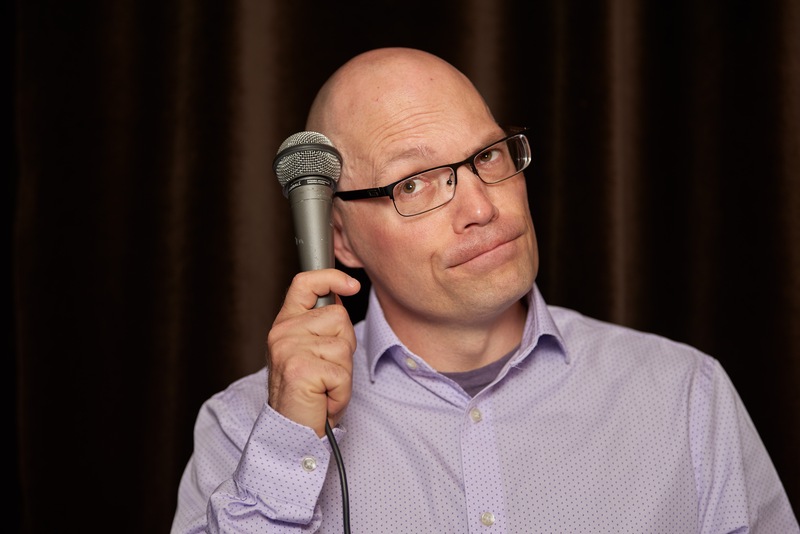 Come learn why his TEDx Talk: “Leading with Laughter: The Power of Humor in Leadership” has been viewed over 140,000 times, and why his work has been highlighted in SUCCESS Magazine, Scrubs Magazine, and on his mom’s fridge. Click here for an example of one of Paul’s TEDx Talks and get a sneak peak of what you can expect at convention. A Colorado native, Paul earned a Master’s Degree in Higher Education Leadership & Administration at the University of Northern Colorado. 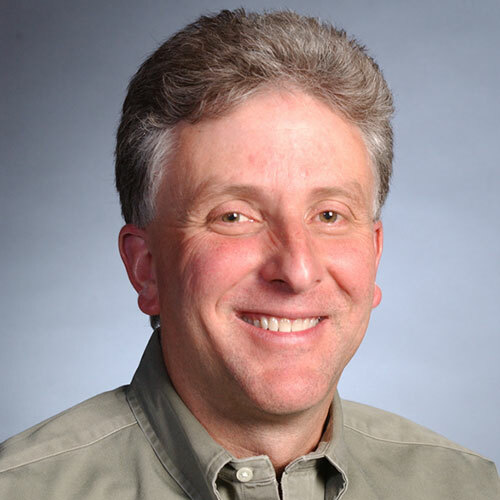 He served as Associate Director of Conflict Resolution and Student Conduct Services at Colorado State University (CSU) where he was responsible for addressing high-risk student situations such as sexual assault, domestic violence, and severe alcohol & drug abuse. With such a serious day job, it’s no wonder he spent his free time as a stand-up and improv comic. This combination of leadership and levity has fueled Paul’s mission to equip people with strategies for creating work climates that are more positive, productive, and fun. Oh, and did we mention he’s married to a veterinarian? As a DVM husband, he has a unique perspective into the world of veterinary medicine. Designed with all veterinary professionals in mind! Friday morning begins with Dr. Betsy Charles, who will use the work of Shawn Achor, along with other positive psychologists, including the Veterinary Mental Health Practitioners group, to inspire participants in choosing how you see the bright side of the profession. You will gain skills to help you “reset to positive” as you come into contact with your teams and clients. Then, begin day two with nationally recognized speaker Dr. Peter Weinstein who will discuss the issues impacting veterinary medicine that leaves you scratching your head, sleeping restlessly and wondering ‘WHY?’ and finding ways you can control the chaos of a extremely complex industry that has more moving parts than any other healthcare profession. Join us for the annual Casino Night! 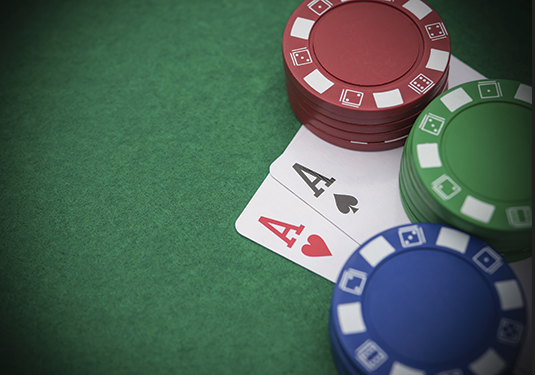 This fun and exciting evening will feature family games, food, cash bar, and gambling events with “CVMA dollars.” Spend the evening socializing, playing cards, black jack, craps, and more! At the end of the evening you can “cash in” your tokens for the chance to win fun and exciting prizes. It’s a great way to socialize with other families and wind down after a day of learning! These hands-on and interactive labs and workshops provide optional offerings to those who want to expand their learning or who can’t attend convention but still want to engage in excellent education opportunities. 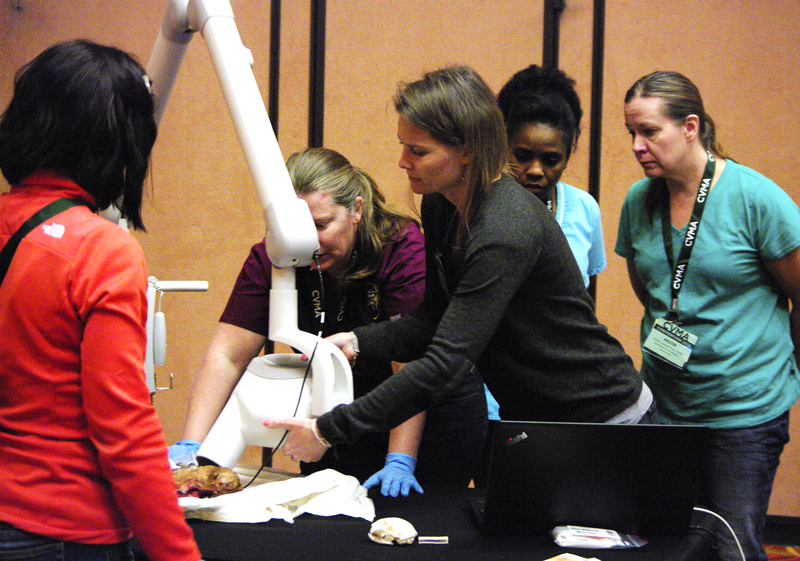 In an exciting lineup, we’ve dedicated Thursday to in-depth and hands-on sessions to get you the interactive experience you want, from dental radiology and extraction to euthanasia skills to leadership and career development. Fuel up between sessions in the exhibit hall! 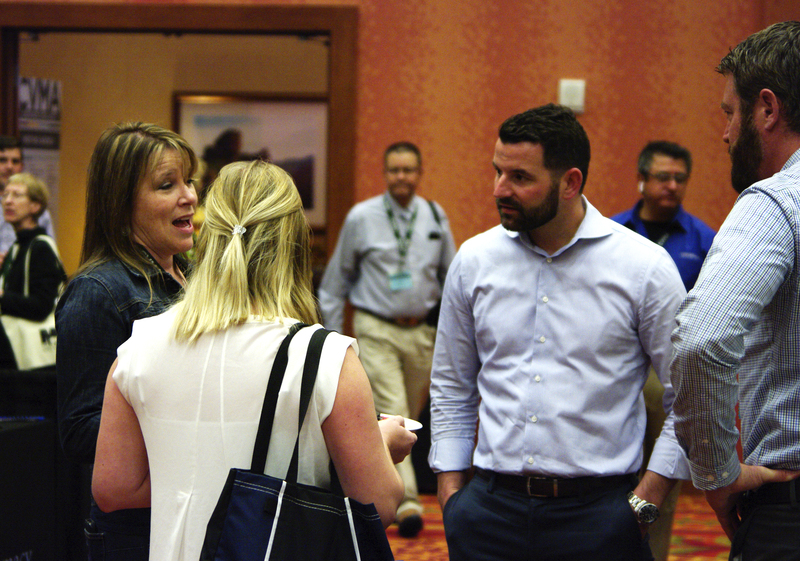 Grab lunch and walk the hall, chat with colleagues and business partners, learn more about the many products and services available to enhance your practice efficiency, and discover what’s new and exciting in the world of veterinary medicine. 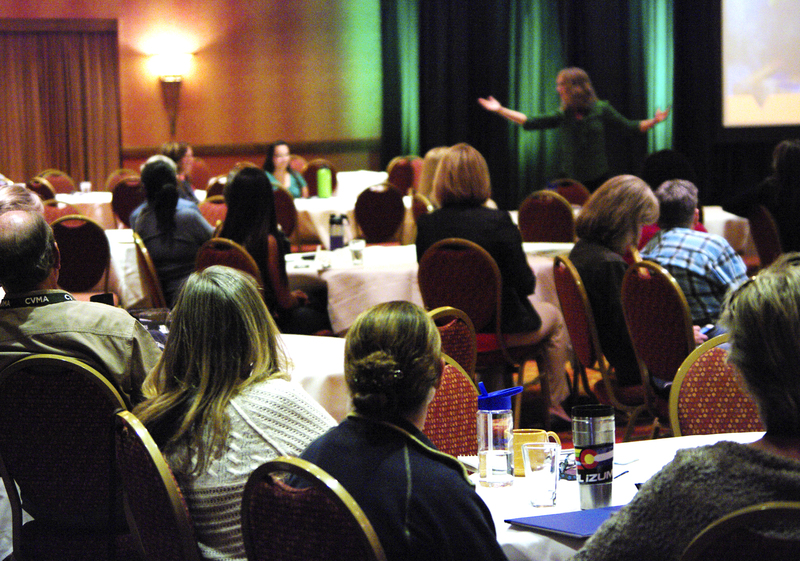 Our exhibitors are eager to get to know you and provide solutions to your daily practice challenges. 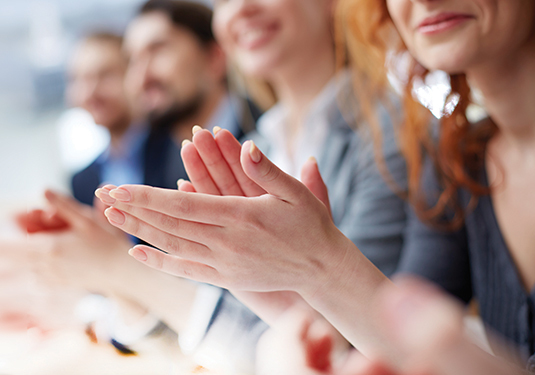 Bring the team to celebrate with those that keep the profession strong as we recognize contributions and service to the veterinary community in Colorado with CVMA Service Awards. Learn about the past year’s successes, hear updates on your state association, learn what’s ahead, and welcome the new CVMA officers. This joint lunch also celebrates CACVT, which represents the professionals with you to deliver the very best care and skill to patients and clients. Keystone Resort is located in Summit County, just a short, scenic drive from Denver. Whether you’re a family with kids or a kid at heart, this laid-back mountain playground will make you feel right at home. 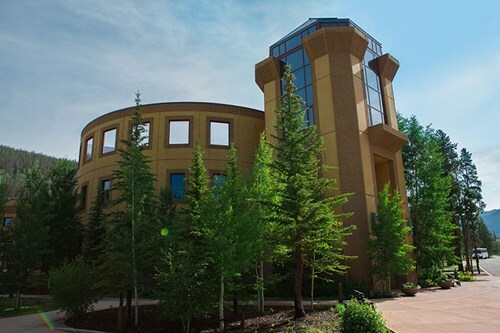 Keystone Resort offers a huge variety of fun outdoor activities and adventures, comfortable lodging accommodations and award-winning dining, all nestled in the breathtaking Rocky Mountains .For more information on Keystone Lodge & Conference Center please visit their website here. Discounted CVMA Group Rate will be available soon! Online Registration for Convention is now CLOSED. Thursday, September 20 at 7:00am. or complete a form upon your arrival at the Embassy Suites. Not a current CVMA member? Join/renew before your register and SAVE! Send a Student to Convention! Support the Next Generation of Veterinarians! CVMA and contributing sponsors of the Send-a-Student program are committed to being an integral component of the next generation’s personal and professional success. Through your Send-a-Student donation, you provide scholarships for dedicated veterinary students to attend CVMA Convention or BIG Ideas, where they can improve their leadership, communication, and interpersonal skills by attending education sessions, engaging with skilled veterinarians, and observing their role models in action. Support the profession. Invest in the next generation. Sponsor a student to attend 2018 CVMA Convention today!